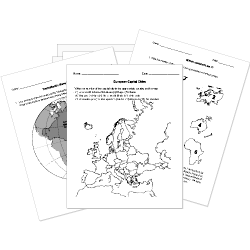 You can create printable tests and worksheets from these Grade 2 African Geography questions! Select one or more questions using the checkboxes above each question. Then click the add selected questions to a test button before moving to another page. Which continent has the largest desert and the longest river? Which animals would you find in Africa? What desert is located in Egypt? Why is the southern part of Africa the most AIDS infected? Teaching people about AIDS and how to keep yourself safe is the best way to stop the spread of it.